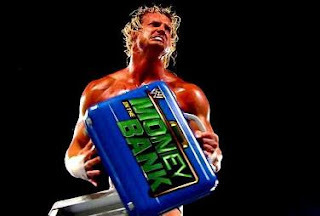 Dolph Ziggler has finally cashed in his Money in the Bank briefcase against an injured Alberto Del Rio. Since winning the money in the bank match almost a year ago, Dolph Ziggler has had many failed attempts at cashing in the contract for his shot at glory. Dolph Ziggler took advantage of an injured Alberto Del Rio, who had suffered a leg injury in the match previous, although still gave an exceptionally strong fight considering his condition. Many WWE fanatics have been crying out for him (Ziggler) to get his big push, which would see him as one of the main title holders. When Dolph’s music hit, the crowd erupted. Like something special had happened, why? Because something special did happen, the WWE universe’s favourite had finally been given the green light to cash in. The cash in was backwards and forwards for the now champion Dolph Ziggler, Alberto Del Rio gave up a enziguri still feeling the effects of his injury, he later gave a weak Cross Arm Breaker which was broken my Dolph. Dolph finally won the match, much to the joy of the thousands in attendance at Raw, the crowd were electric, and popped exceptionally loudly for the win. The UK just schooled the US in how to be a crowd. Dolph Ziggler is the man to take WWE forward into the next generation, resembling the look of Mr. Perfect, this cash in can only mean good things for the future Hall of Famer. WWE now clearly see the reaction he gets as a heel, and have decided to give him the run he deserves, much to the fans delight, it could continue for a while in my opinion. For all the Dolph haters out there, it’s time to embrace him, he’s something special, and will be around for some time to come. This is only the start of what’s to come with the WWE; it’s purely onwards and upwards from this point. With just hours to go until the most anticipated professional wrestling event of the year, Wrestlemania 29 seems, well, to be honest not that special. Don’t get me wrong, I will be buying it, I will be watching it and if it’s anything like last year I will enjoy it. However, we have a few rematches, a few matches that have just been thrown together…and even the other matches have had little or no real build heading into the “Grandest Stage of them All”. I also feel like WWE have booked the matches and build up in such a way that it is going to be very predictable. This match will be on the Pre Show, something that many WWE fans decide to not bother watching. I think WWE are aware of this and will start making it more interesting by making title changes occur. Wade Barrett recently got made to look like a joke by Triple-H. The Miz has recently been given Ric Flair as a mentor and has been allowed to use the figure four leg lock as a signature move. Who do you think WWE is more invested in? People are talking about heel turns, who is it going to be? Will it be Sheamus, Orton or Cena? If indeed someone does turn heel, WWE are already lacking top faces. I think they are going to start to push Miz to the top again and I think it starts here. I think this match will show Big E as a massive threat and he will be the one we are talking about after the match. After seeing him out muscle Kane on RAW, I feel that this is they way they are going to go. Fandango or the gimmick is going to debut against Chris Jericho – who faced CM Punk last year. That tells me that WWE have a lot of hope for him. However, I don’t think they risk having Jericho lose if the Fandango gimmick flops. Chris Jericho will make him look good, but I don’t see him losing. I would have liked this match to have had a longer build because it’s a match that makes sense. Mark Henry was running through everyone, he got injured and then Ryback showed up and he ran through everyone. Mark Henry is back to show he is the more dominant force. Mark Henry is nearing the end of his career and Ryback is just getting started in his WWE main event run. Also Ryback needs a big win after all the screwy finishes at the end of 2012, not winning the Royal Rumble and then losing at Elimination Chamber. This is a match that has sort of been thrown together. 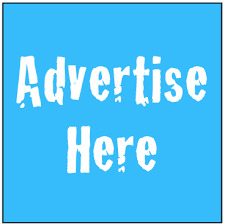 Yes, there has been build up but it has been really simple build that anyone could do. *The Shield attack Orton, Sheamus and Big Show. Big Show turns face to help take down The Shield*. It’s very boring. I have not been remotely interested in this storyline. Sheamus and Big Show were feuding not long ago. I just can’t buy into it. If WWE want to continue, what I believe is the most interesting group in years, they have to give them a big win at Wrestlemania and I can’t imagine them dropping the ball this time. This match has actually been booked pretty well in my opinion. Brock Lesnar got heat by “breaking” Triple-H’s arm, twice, “breaking” Shawn Michaels’ arm, beating Triple-H at SummerSlam, attacking Vince McMahon and attacking the New Age Outlaws. All this plus the fact that Triple-H’s career is “on the line” makes me believe that he will reign victorious. Perhaps they have a rubber match at Extreme Rules and Lesnar goes over but I can’t see Triple-H losing for the third time in a row at Wrestlemania. Week, after week, after week CM Punk & Paul Heyman have disrespected Paul Bearer from mocking from his “Oh Yes” catch phrase; to dressing up like him to juggling and dropping the urn. On the last episode of RAW CM Punk emptied the contents of the urn onto Undertaker as he stood tall above him. Now, given the fact that Paul Bearer has recently just passed away (RIP) and the fact that Punk has got the upper hand for the entire build…it looks to be a safe bet that 21-0 will appear on the ‘titantron’ after the match. I’m not going to lie, when Jack Swagger won the Elimination Chamber and it became official that this would be the World Heavyweight Championship match at Wrestlemania I thought the build would be terrible, the match would be terrible and who ever came up with the idea would be fired. However, it seems like heading into Wrestlemania, this is the best built match on the card. Alberto Del Rio has surprised me; he is a better face than I thought he would be. A lot of that is down to him having such a likeable “manager” in Ricardo Rodriguez, but still. I think WWE is going to continue to push Del Rio as a face and so I don’t think he is going to lose. Wrestlemania 28 – Miami, Sun Life Stadium; The Rock pins John Cena in the main event. Right there I knew; John Cena will get his shot at redemption at Wrestlemania 29 and I was correct. Only about 99.5% of the WWE fans were correct, that’s how predictable WWE are. Everyone knew they would have a rematch this year and everyone knows what the outcome is probably going to be. John Cena didn’t have a great 2012; he lost at Wrestlemania to The Rock, he lost to Dolph Ziggler, CM Punk, heck even Johnny Ace beat him. The only way having him lose to The Rock again would make any sense is if it was to trigger a heel turn. A heel turn that I want, the rest of the fans want and I would not be surprised if even John Cena himself wanted. However we all know how many times it has been predicted and has yet to happen and as much as I hope it does; I just can’t see it. It was quite the surprise to find that long-time mainstay of ROH's tag team division Jay Briscoe had become the new ROH World Champion by defeating Kevin Steen at this year's Supercard of Honor event this past Friday night in New York. Both Jay and Mark have had numerous title opportunities to win the World title over the years, most notably in a feud with Samoa Joe back in 2003/04. Indeed in the previous ROH event before Supercard of Honor, Steen had successfully defended the title against Mark Briscoe. This then seemed to indicate that normal service was in effect, that ROH were booking both Briscoe brothers in title matches because they were low on ideas and the fans would accept them as viable challengers even if it was unlikely they would get the job done. I think the main reason we have seen the end of Kevin Steen's first title run is the company have decided now is the time to have go total babyface and split from the rest of SCUM. In the latest set of TV tapings, Steve Corino and the rest of SCUM have turned on Mr Steen and have decided that Matt Hardy is a better prospect. This makes sense because while SCUM is disliked by the majority of ROH fans, Kevin Steen has found himself the most popular wrestler on the roster. It also wouldn't really make sense for Steen to split or be kicked out of his own group while still being ROH World Champion. So he really did need to lose the title before embarking on his latest stage of his ROH career as the company's biggest babyface. A bit like ROH's version of John Cena but actually liked by virtually all of the promotion's fans. In the set of TV tapings, Steen stated that he would be focused on regaining the ROH World title and I wouldn't be surprised if he is back as champion by the end of 2013. But for now he will find himself embroiled in a feud with Steve Corino and the rest of SCUM. ROH announced at Border Wars there will be a tag team match featuring Michael Elgin & Jay Lethal vs. 2 members of SCUM, with the stipulation being if SCUM wins then Matt Hardy gets a ROH World title shot. But if they lose then SCUM will be gone from Ring of Honor. This means that SCUM will be winning that one, Hardy will probably then become champion and ROH will relay on the former leader of SCUM (Kevin Steen) to save the company and regain the title probably at Final Battle. So does that mean Jay Briscoe will be presented as a caretaker champion, holding the title for a couple of months while the company put the pieces together to present what they believe is the best programme that being Matt Hardy vs. Kevin Steen. In my opinion I think that is what will happen, in the same way that James Gibson had a couple of months reign following the Summer of Punk and before Bryan Danielson's epic 15 month run at the top. Jay will defend the title against Adam Cole at Border Wars, which is surprising in itself as he's been on a bit of a losing streak since losing the TV title to Matt Taven. It's well known that Adam Cole did very well at a WWE tryout and it wouldn't be surprising if he was offered a WWE contract which indicates that he will not add the ROH World title to his list of championships. 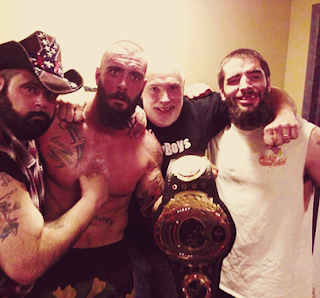 As for Mark Briscoe, he won a five-way match at the TV tapings to earn a shot at the TV title against Matt Tavern at Border Wars. So as it stands both Briscoes are still babyfaces and are supportive of one another. Rather that continues to occur or if ROH decides it is time to set up Jay vs. Mark feud possibly based on Mark's jealousy of his older brother if he is unsuccessful at the next iPPV and Jay retains. As I can easily see, Mark costing his brother the title against Matt Hardy in the future if the company decide to go in that direction. Which would set ROH nicely for the second half of the year, Hardy vs. Steen, Jay vs. Mark and that allows ROH to concentrate on the tag division without having the easy option of relying on the Briscoe Brothers to carry things. On a bitterly cold March evening IPW provided a fantastic night of wrestling in the intimate White Oak Leisure Centre in Swanley. We were greeted by our ring announcer for the evening, the lovely Justine Cager - making her announcing debut from WrestleTalk TV. Our first match of the evening was for the IPW tag team championships. First to the ring were the challengers The Wild Cats, cashing in their Royale Rewards win from last year, followed by the defending champions Project Ego. Ego took the upper hand early in the bout and used all their years of tag team experience to double team the challengers and try and gain the advantage. But the challengers worked their way back into the match with some great high flying manoeuvres which led to Lion Kid being able to set up Kris Travis for a Swanton bomb for his partner Dark Panther. This win enabled IPW to crown their new tag team champions The Wild Cats! Up next was an IPW debut with Scottish sensation Grado taking on Mark Haskins. Haskins made his way to the ring with a toilet roll and proceeded to tell everyone in attendance about his “man flu”. Grado then made his way to the ring and repeated his Twitter request from earlier in the week to get a photo with Haskins who rather impolitely denied this by slapping the phone out of Grado’s hand. Haskins took control early in the bout and impressed Grado with his chain wrestling moves, so much so that Grado asked if he could show him how to do it himself! We were then treated to Grado’s attempts at a kip up which he eventually succeeded in doing with referee Chris Roberts and Haskins help. After some back and forth action Haskins stopped the bout to take his temperature and then used the foreign object to gain the advantage. Haskins eventually hit the Made In Japan for the win. Great debut for Grado against veteran Haskins and a very entertaining match. Next up was the highly anticipated match between Dragon Gate USA Ricochet and Zack Sabre Jr, and this one did not disappoint. The two traded mat wrestling moves early in the bout much to the delight of the IPW faithful on hand. This was a technical master class and after 21 minutes of top class grappling Sabre was able to apply his modified armbar for the submission victory. In a great show of sportsmanship the two shook hands after the bell and I hope we can see a rematch soon. After the interval we kicked off with a bonus match with “Special Edition” Joseph Conners, one half of The Predators, making his IPW debut against Andras. Conners made quick work of the Hungarian with the rear naked choke after 4 minutes of action, impressive debut for Conners. Next up was a huge 8 man tag team grudge match between The Firm of Sha Samuels and Big Paul teaming with the London Riots to face The Bhangra Knights and Paul Robinson. This one got off to a flying start with Bhangra and Riots continuing their hard-hitting feud which has raged on for months now. The Samuels team gained the upper hand when they isolated the newest member of the Knights, Ateeque Baig, and dished out some brutal punishment keeping him from making the tag. Eventually he was able to tag in the fresh Robinson who gained the advantage for his team before being hit with a bone jarring mid air spear. The Knights then came back into the fray and were able to down London Riots’ Williams for Robinson to hit an enormous top rope leg drop for the pinfall after 15 minutes of action. Now on to the main event - the 30 man over the top rope Battle Royale. First entrant was London Riots’ James Davis with Zack Sabre Jr at number two and when the countdown ended it was bad news for Sabre as next in was London Riots’ Rob Williams! After the inevitable double teaming, relief came in the form of Bhangra Knight Ateeque Baig. The bodies followed thick and fast and we even had an appearance from Super Mario and a mysterious masked man doing the Gangnam Style dance!! Project Ego double teamed Grado and then raided his bum bag and did unspeakable things with his toothbrush! Sakura Lily eliminated Kris Travis before himself being eliminated by Martin Kirby. We were eventually left with a final three of Big Paul, Mark Haskins and Joel Masters. Haskins and Paul teamed up on Joel but the big man survived and then eliminated Big Paul leaving Haskins and Joel one-on-one. Haskins managed to haul Masters over the rope but when he went for the high knee to eliminate him, Joel was able to avoid it and eliminated Haskins for the big win at the 30 minute mark. Joel immediately announced that as a result of his win he wanted to face Iestyn Rees who has been avoiding him for many months. Hopefully this match will take place at Royal Rewards 2013 in May. As a result of Zack Sabre eliminating Sha Samuels he is now in line for a title shot at the show in May, as are the London Riots who will face the Wild Cats for the IPW tag titles. All this and an appearance from Nigel McGuiness are already making this look like we have another fabulous IPW night of wrestling in store!